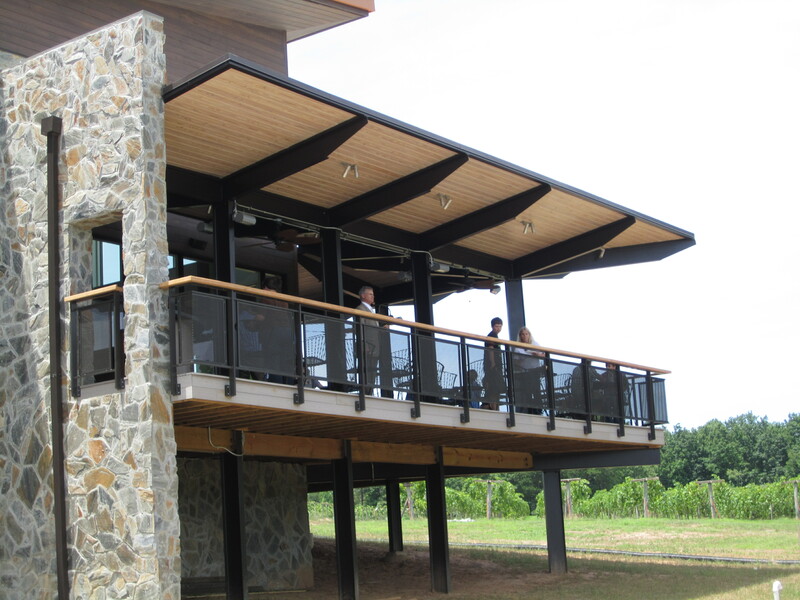 Cooper Vineyards is located in Louisa, just a short drive from Richmond, Charlottesville and Fredericksburg. Situated among rolling hills in a traditional farming community, the winery consists of 103 acres, 22 of which are planted with a number of varietals including Albarino, Cabernet Franc, Chardonel, Chardonnay, Petit Verdot, Vidal Blanc and Viognier. Future plantings of Chambourcin and other varieties are being explored. A new vineyard in Free Union, which is part of the Monticello AVA, is planted with Chardonnay, Cabernet Franc, Cabernet Sauvignon, Merlot, and Viognier varietals. The first Free Union harvest is expected in 2017. Plans are underway for a new wine processing facility and enclosing the pavilion for year round use. Both projects are expected to be complete by the end of 2016. Licensed in July 1999, Cooper Vineyards was Virginia’s 53rd Farm Winery. The first year production was 250 cases compared to approximately 6,000 cases that Cooper now bottles. 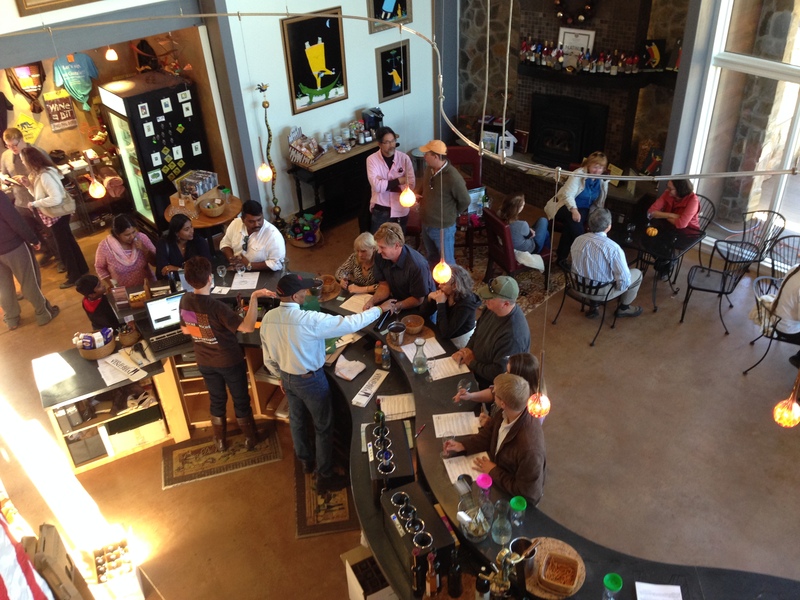 The winery is a member of the Heart of Virginia Wine Trail. Meet the New Owner – David and Susan Drillock purchased Cooper Vineyards this past July. They relocated to Virginia in 2014 from New Jersey when David retired from his job of 36 years as an accountant with a large industrial company. Susan is a retired surgical intensive care nurse. In New Jersey, they owned and restored a small 12 acre farm that included an original 200-year old barn and an almost 100-year old farmhouse. Grapevine-Cooper 11-15 The architectural design of the Cooper tasting room, with two complete walls of glass that extend up for two stories, makes the visitor experience that of an “indoor/outdoor” space regardless of the weather. Not only are the construction features “green,” the aesthetics of the design with the surrounding landscape create the impression that the wine tasting room is an outgrowth of the vineyards itself, similar to the way that the flavors of Cooper wines express the terroir of the vineyard soils. 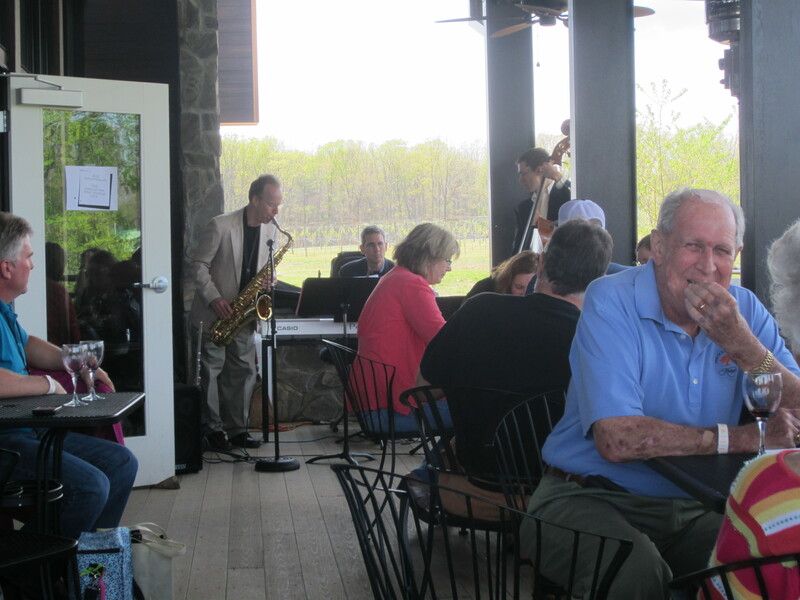 Tastings and Event – Cooper Vineyards is open daily, 11 to 5, for wine tastings and weekend acoustic music on the deck or in the tasting room year round. A number of wines are offered that fit a variety of tastes and which are only sold at the Winery, through the Wine Club or online. Cooper prides itself on the reputation of its Tasting Room staff. They are approachable, knowledgeable and lovers of wine, and many staff and volunteers have been with the winery for years. Off the tasting room is a large covered deck with wonderful views of the vineyards and pond, an outdoor bar and private tasting room and deck for parties of up to 20 guests. There is a tented pad for weddings and other events. Cooper is a popular venue for weddings, parties, corporate functions and wine dinners. When you visit Cooper Vineyards, you will be welcomed by the same friendly faces you have gotten to know over the years, and by the new owners, David and Susan Drillock along with their amazing menagerie. All have the same goal, to make your Cooper experience a great one. Remove Nutella from jars and place in microwaveable bowl – microwave until softened. Add 1/2 bottle of Noche, mix well. Taste and add more Noche if needed. Pour in 1 pint of heavy whipping cream. Use electric mixer and blend well. Transfer to fondue dish or small crock pot. Makes about 1/2 gallon of dip. Dip with strawberries, bananas, pretzels, ‘nilla wafers, mini cream puffs, etc.